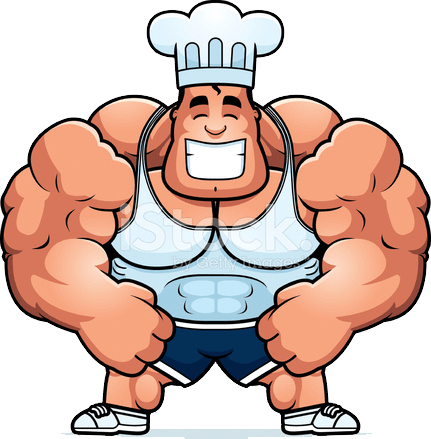 Arnold is from Pipfornia and is a bodybuilder chef who trades. Like many other traders, he has a mechanical system based on breakouts. Arnold even has a special name for it: the Terminator System. He follows his system with rock solid discipline (which is how he got his abs and bazooka biceps) and with no emotion. He hopes to terminate enough pips so that he can buy his own Harley Davidson and drive down Pip-nice Beach. Unfortunately for Arnold, despite following his game plan and not letting the markets get to him, he struggles to make consistent profits. Arnold gets a buy signal from his Terminator System, as EUR/USD is breaking out of its current resistance level. After being up a couple of pips, price reverses and stops him out. Minutes later, he gets another signal. This time, it’s to short EUR/USD. Like any good trader, Arnold follows his system faithfully and sells at market price. In just a few seconds, he’s up 10 pips, and it looks like the pair is headed for more lows. Then, all of a sudden, the momentum is lost and the pair begins to consolidate. Another couple of minutes pass by… then suddenly, price reverses back up and hits Arnold’s stop loss orders…. But only to shoot down another 100 pips! It’s a Zero Sum Game! As we’ve said time and again, trading in the forex market is not an easy task. You can be the most disciplined trader, who always follows his trading plan, keeps within his risk management rules, but still see a majority of your trades be losers. What’s worse is that after getting stopped out, you see price eventually go your way and hit your profit targets. One has to remember, forex trading is a zero sum game. Whenever you put on a buy or sell order, there is SOMEONE OUT THERE TAKING THE OTHER SIDE OF YOUR TRADE. Most of the time, the one who’s taking these positions is a forex dealer. Forex dealers are professional traders who take on the opposite positions of retail traders, thus providing the liquidity needed for the forex market to work efficiently. However, banks are in the business of making money as well, and dealers actually can earn tons of profit by quickly unloading their positions, making money via the spread. The truth is that forex dealers actually do win most of the time. And for this reason, you should try to trade like a dealer. Well, to be honest, dealers are just like you, someone who’s trying to make some moolah every time the market moves up or down. But because dealers have so many advantages (the spread, information, order flows, etc. ), retail traders are at a major disadvantage. If you know how dealers think and trade, then you can overcome these disadvantages and become profitable as well.